At Paragon Honda we want to answer some of your questions before you come to the service center. Please refer to our list of the most frequently asked questions customers have about their Honda. If you don’t find the answer to your question(s), call us at 888-228-6603 and a service adviser will be happy to assist you. You can make a service appointment online if you prefer to bring your vehicle to our service department. Paragon Honda is proud to introduce Paragon Direct, a new online platform for consumers to arrange a test-drive, purchase a car, or schedule vehicle service. This innovative new service is a “store without walls” that creates a frictionless consumer experience by bringing the dealership directly to customers in the Metro New York area. Paragon Direct Service is online, on-time, every time – allowing customers to schedule service appointments and receive complimentary pick-up and drop-off anywhere in Manhattan. Our customers can even purchase their vehicle 100% online, using the “Start Shopping” button below. To schedule an appointment, click “Schedule Service Pick Up” button below. Click here to schedule your vehicle pick-up. When you visit the Paragon Honda service center, you can expect to have your service options clearly explained so you can make decisions that are best for you and your vehicle. You will receive top quality preventive maintenance services – based on your vehicle manufacturer recommendations – performed by highly trained technicians. What does the service code mean on my dashboard? Maintenance Minder Codes can be found here. If you still have questions about your battery, bring your vehicle to Paragon Honda to have one of our trained technicians conduct a thorough diagnostic test. The life of your engine and your car depends on quality oil running through your engine parts. If you wait too long between oil changes, your engine will have extensive and damaging wear. Don’t deprive your car from its most vital lubricant system. Refer to your owner’s manual for the recommended service intervals. Remember, oil is the lifeline for your car. Without it your engine can potentially have engine-damaging effects. It is very important to choose oil displaying the “Starburst” certification symbol, shown at left. This symbol indicates that the oil meets the latest performance requirements set by the automotive and oil industries. Lighter oils flow easier once the cold engine starts, bringing vital lubrication to moving parts. What do I do for a Honda recall? 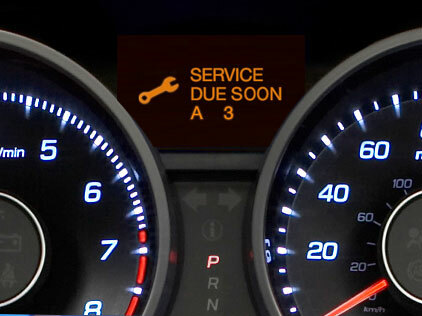 To schedule a service appointment for a Honda recall, please call our Paragon Honda Recall Hotline: (855) 276-1701. We’ll repair or replace the faulty parts so you, your passengers and vehicle are safe.